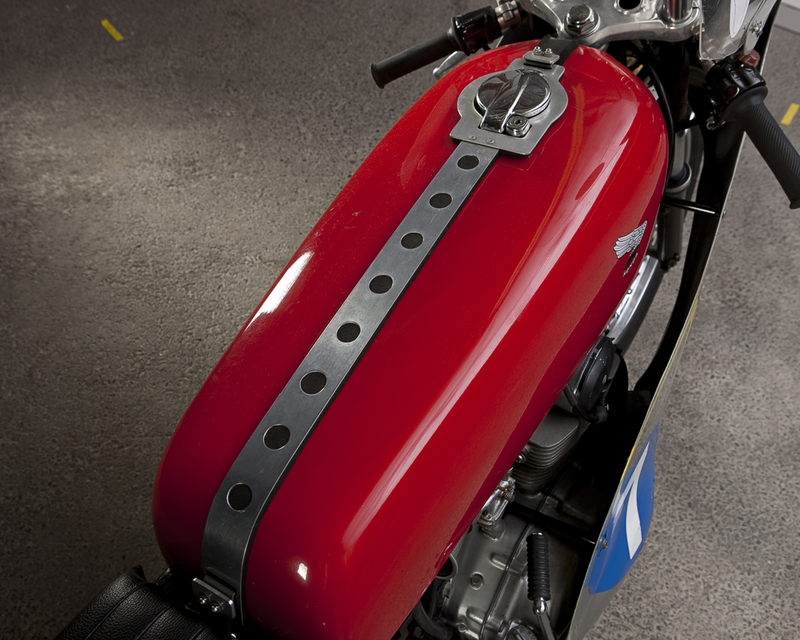 The Honda CB350MHR Mike “The Bike” Hailwood Replica was created from a 1972 CB350, twin cylinder street bike. 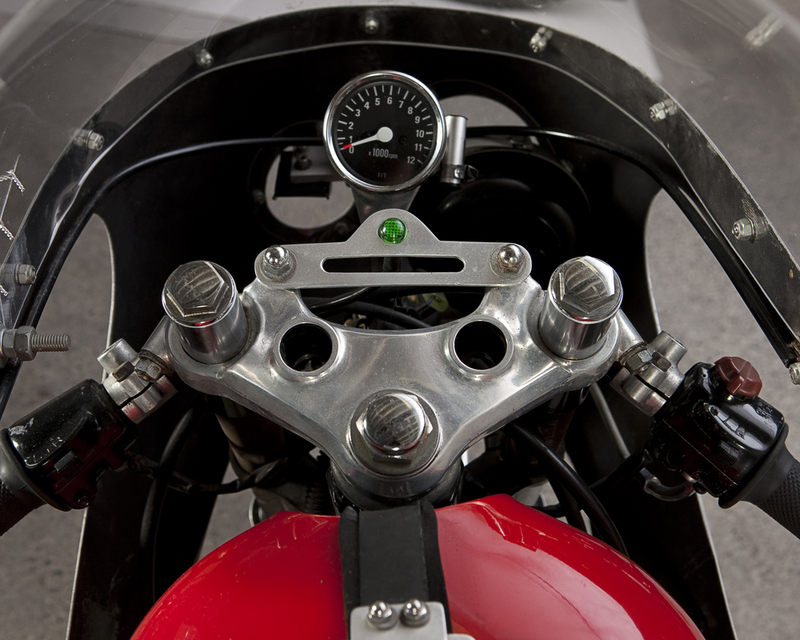 The original bike actually had a single disk front brake design, which is much more effectove that the 1968 drum setup installed to make the bike more representative of what Hailwood was racing in 1966. Hailwood’s race bike in 1966 was the very famous RC166 six cylinder 250 grand prix race bike built by Honda to successfully unseat the Europeans amd Japanese two stroke motorcycles at the time. Honda proved they could do it with a four-stroke engineered with very lightweight, small moving parts at extreme revs, producing both significant power and an engine note that cannot quickly be forgotten. This humble tribute bike is not all that but it does manage to connote the sport and recreation that is Honda.